I am thrilled to be a part of the team at MCO! My desire is to provide insight, tools, and Biblical principles to hurting people and hurting relationships to cultivate healing and restoration. Are you desperate to have a successful, healthy relationship with your spouse, child, friend, or another significant person in your life? There is HOPE!! Let us help you figure out what is getting in the way of you experiencing life at its fullest as an individual and in your relationships. I have experience working with individuals struggling with anxiety and depression and couples dealing with communication, blended family, or parenting issues. In addition to 20+ years of marriage, raising six children, navigating the issues of a blended family, and occupational ministry, I obtained a Bachelor’s degree in Psychology & Sociology from Drury University, a Master’s degree from Evangel University in Clinical Mental Health Counseling, and I am a certified premarital SYMBIS facilitator. I am committed to using my experience in these areas to assist real people with real life struggles. Premarital counseling assists couples with insight and tools, preparing for what we know to be true…MARRIAGE IS HARD...and it can also be GREAT! 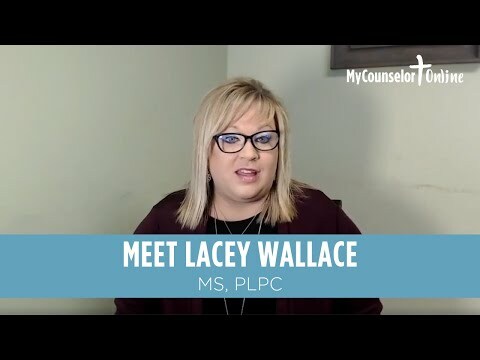 You can schedule a Christian Counseling appointment with Lacey either online via video session or in person. Sessions are available Monday-Friday, 9 a.m. to 9 p.m.